Whatever your style, fuel type or colour preference, we have the right Range Cooker for you, packed with great features and with quality guaranteed. The clean and sleek design of the Cuisine Collection ensures it fits perfectly into a modern kitchen, whilst maintaining the benefits of a traditional Range Cooker. To deliver optimum cooking flexibility, the latest Leisure Cuisine design includes a separate Grill Cavity, 3 large capacity ovens including a New Slow Cook Oven, perfect for casseroles, as well as a Fan Oven and Conventional Oven. The five-burner hob includes a wok burner and on the dual fuel models the griddle is the closest taste you will get to barbecue food. Cleaning your new range is easy too with removable inner door glass and Cook Clean liners, so maintaining your new range cooker is simple and hassle free. 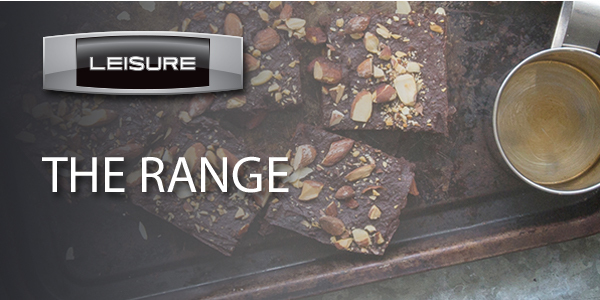 Exceptional quality offering culinary versatility for passionate home cooks. 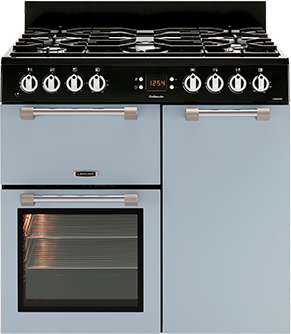 Leisure Cookmaster range cookers are the perfect product for large families or entertaining. 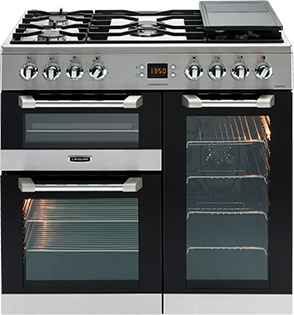 Whilst the design may be traditional, our Cookmaster Range Cookers benefit from modern oven technologies including a separate quick heating grill, 2 large capacity ovens – one Fan and one Conventional, plus a central dual zone and separate warming zone on electric models, catering to all your cooking and re-heating needs. Maintaining your new oven is easy too thanks to the Cook Clean Liners and easy clean door glass. 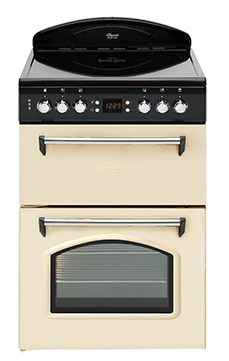 Traditional range cooking design meets state-of-the-art technology in the Leisure Chefmaster range. Use the integrated glass cover as a splashback to help keep your kitchen clean as you cook up a feast for your guests, or simply close the cover to create a seamless look in your kitchen. Our Chefmaster Range Cookers provide plenty of space for you to cook up a feast, with three ovens and a dedicated grill to experiment with. Its five-burner gas hob is complemented by a powerful wok burner – perfect for whipping up tasty stir-fries. By catching dirt and grease from inside of the cavities, the Cook Clean Liners in the main ovens remove the need for you to scrub the oven walls. Exclusively available from Currys, the A La Carte range is perfect for those looking for a stylish Range Cooker at the centrepiece of their kitchen. A La Carte models are great for any meal, and provide all the flexibility you require with 2 ovens, a separate grill and up to 7 hobs including a Wok Burner on the dual fuel models. Some products also have a separate storage compartment too. The ovens both have Cook Clean Liners for hassle free cleaning. When cooking at high temperatures fat spits, dirt and grime are burnt off - removing the need to scrub the oven walls to keep them clean. Short on space but love the Range Cooker look? 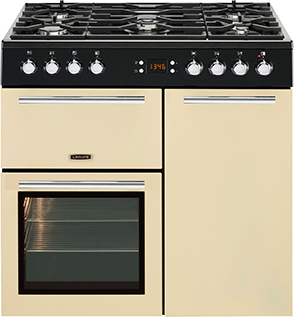 The Leisure range of Gourmet and Classic cookers give the traditional look and feel of a range cooker but are perfect for even the most compact of kitchens. 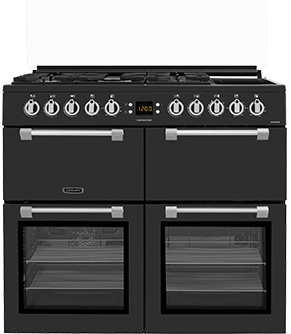 The 60cm models combine authentic styling with a host of useful functions, including a 4 zone hob, 2 spacious ovens, one including a recessed grill, plus Cook Clean liners and easy clean glass doors.